Bowel cancer is a major cause of illness, disability and death in the United Kingdom (UK). The National Bowel Cancer Audit (NBOCA) describes and compares the care and outcomes of patients diagnosed with bowel cancer in England and Wales. The audit is now well established and has collected data in its professional form since 2005. The NBOCA is commissioned by the Healthcare Quality Improvement Partnership (HQIP) and funded by NHS England and Welsh Government. The audit is carried out by the Clinical Effectiveness Unit (CEU) of the Royal College of Surgeons of England in partnership with the Association of Coloproctology of Great Britain and Ireland (ACPGBI), and NHS Digital. 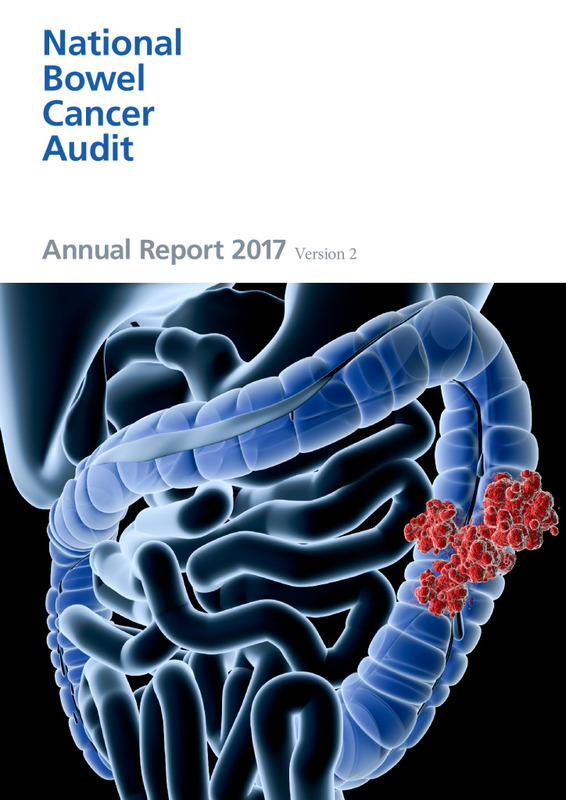 The 2017 Annual Report is the eighth report produced by the above collaborative and includes data on over 30,000 patients diagnosed with bowel cancer between 1 April 2015 and 31 March 2016. The overall case ascertainment for England and Wales was 95%.The key audience of the Annual Report and the Patient Report include those who deliver care to bowel cancer patients, commission bowel cancer services and patients.